Authorities said Summit High School in Fontana was placed on lockdown due to an unverified tip about a student possibly bringing a gun to school on Thursday, May 11, 2017. 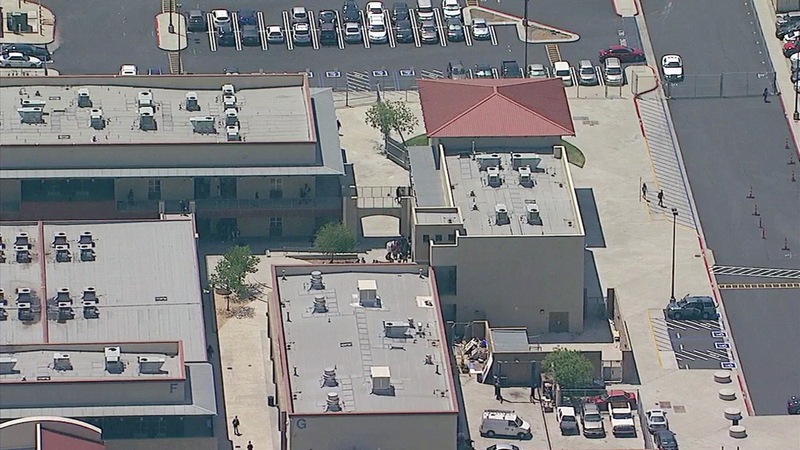 FONTANA, Calif. (KABC) -- Summit High School in Fontana was placed under lockdown on Thursday after authorities received an unverified tip about a former student who possibly brought a gun to campus. According to school police, the tip was not confirmed as credible. Still, the school was locked down as authorities searched the campus for that possible weapon. There were no reports of an active shooter. Fontana police were not involved in the situation - only the school police. The lockdown was lifted just before 2 p.m. after school police determined the former student was not on campus.